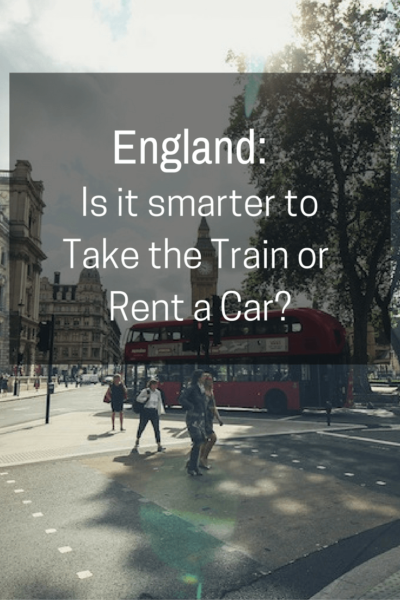 England: Is it Smarter to Take the Train or to Rent a Car? Weighing the pros and cons of choosing between train travel and renting a car can be tough. Especially when travelling around England. If you’re planning on staying in London , it’s a no-brainer: Neither. London is a walkable city and The Tube and bus system work effectively enough when you’re not up for walking. 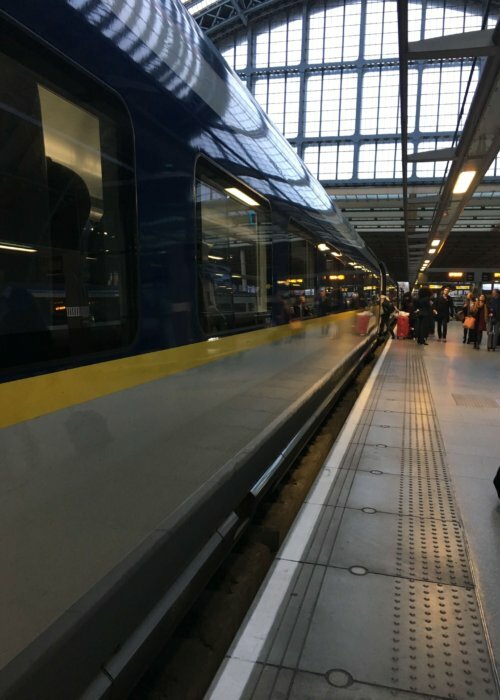 If you’re heading out of London though, it’s a decision you need to consider: Take the train or rent a car? Renting a car also means you need to know how to get to where you are going—especially if you don’t like to follow the direct path to your destination (certainly not our favourite thing). When we made plans to see our friend in the southwest of England, I looked at all our travel options. I’ve travelled from London to Exeter a few times now. Each time I’ve travelled by train. It’s always been fabulous. The scenery is so lovely and it’s such a relaxing ride. For my European Adventure with Natalie, I researched what would be most cost effective: Travel by train during off peak times or rent a car? From either Heathrow or Gatwick airport, it was just as easy to pick up a car as it was to hop on a train. I wasn’t worried about rental insurance for the car because my credit card covers it. Sure, I’d have to fill up on petrol before I returned it, but that wasn’t a big deal either. And, we would have flexibility with a car. 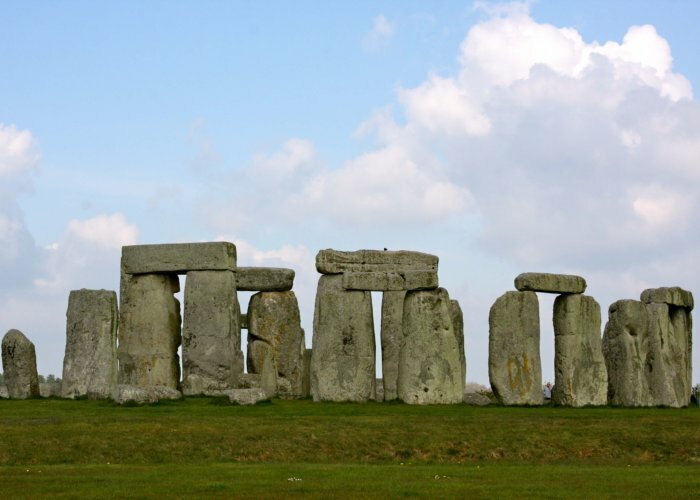 We could stop at Stonehenge and Salisbury if we wanted to. But what about that relaxing train journey looking out the window as the world went by? After looking at the costs, the decision was easy: It would cost more than twice as much for the two of us to take the train. Ouch! So, we opted to rent a car to save some money and give ourselves a bit of adventure along the way. The traffic wasn’t great either. It was Friday afternoon and it seemed like the entire population of London was heading south for the weekend. After taking the wrong turn, it took us two hours to finally get back on track. Damn GPS sucked and our phone wasn’t much help either. 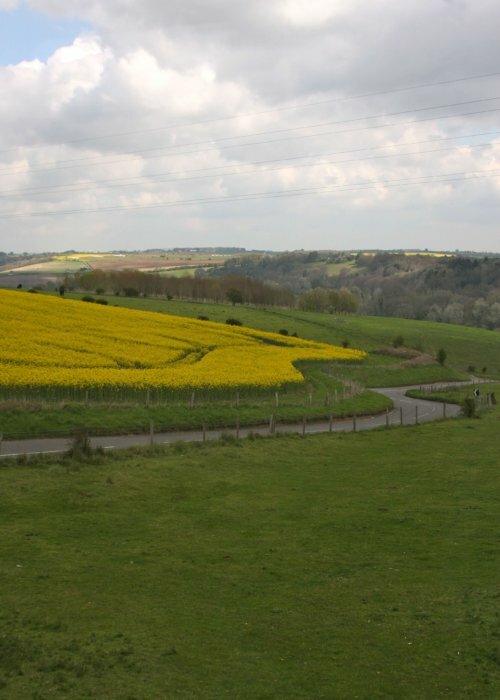 I was seriously second-guessing my decision at that point, but the countryside was gorgeous! But, time was ticking and found myself more anxious with each passing minute that we stayed lost (sorry Nat!) What’s worse, we weren’t spending time with our friend and time was limited as it was. Not good. Oh, we did make it – eventually. It only took two hours longer than anticipated. And yet…Our return to London wasn’t much better. We got lost looking for it. By the time we got our bearings again, we had missed the opportunity to sightsee because we were now late in getting back to London. Any more dilly-dallying would mean we’d be charged an extra days rental fee on the car. I think you can imagine my stress level at this point. Before you feel too sorry for us though, I have to say it was fun to drive in England. The car I was driving was a manual and I admit, I’m a full-on ‘driver’ when it comes to driving a manual. We were driving through quaint towns, yelling at cows as we drove by, singing at the top of our lungs to our playlists, waving at Stonehenge as it sat majestically up on the hill…you can say that we made the most of it. 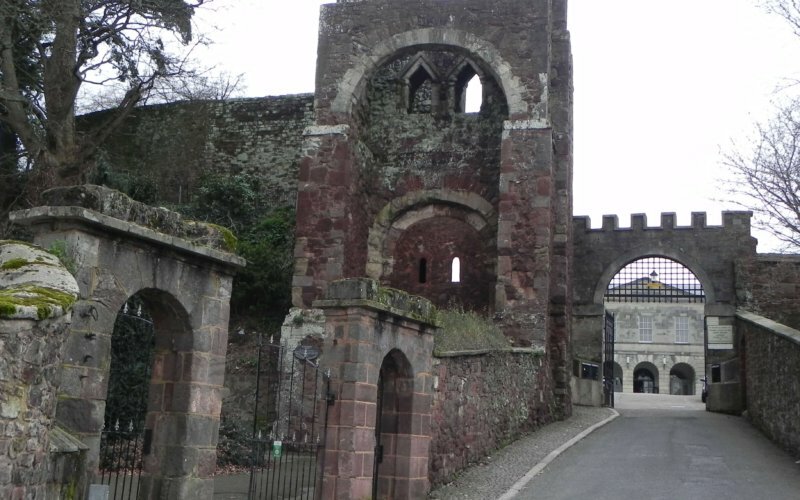 Best of all, we had a great time with our friends in Exeter. Giving them great big hugs made the journey worthwhile. But, next time, I’ll reconsider the cost and take the train. Sometimes spending the extra cash to take the train is worth it …but then, what’s the fun in that?! Day 43 of the Camino Wander – Damn Headphones!